The 2010 Tampa Bay defense made great strides to creating a new legendary unit, one with a fresh approach and fresh, dynamic playmakers. Throughout the year, they frustrated the likes of Drew Brees and Matt Ryan, dropped a shutout on the 49ers, and kept them competitive in every game from week 7 on despite player after player landing on IR. The one thing that was missing was edge pressure. They only got 26 sacks with Stylez G. White leading the way with 6.5. At last week’s draft, Tampa Bay was able to get two quality, pass-rushing DE’s in the first two rounds. They picked up Adrian Clayborn – a player Raheem Morris calls his “Rambo” – who plays with a nastiness and will be hungry to prove teams wrong who may have passed on him. In the second round, they were able to add another end and not just any end. Da’Quan Bowers – free-falling because of an expected short career due to knee issues – should, at least for the next few seasons, provide ridiculous value to the team. Bowers led the NCAA in sacks and tackles for loss at Clemson in 2010. He, too, will be playing with a chip on his shoulder for all the teams that were afraid to pick him. These two will add a disruptive element and will blend in well with the other players on a defense renowned for its mega-hustle which both Clayborn and Bowers possess. 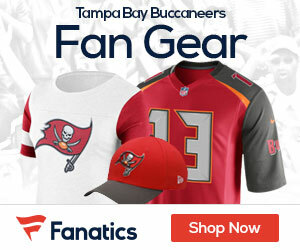 The most important keys to the Bucs success last year were disguise – Raheem’s stellar play-calling ability – and depth. This year’s key might be big plays. Now, if they would just consider bringing Aqib Talib back.